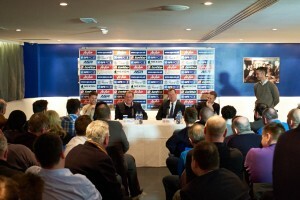 QPR1st attended the Fans Forum held at Loftus Road yesterday in the W12 Suite. The first question about restoring the Annual General Shareholders meeting was not actually answered by Philip Beard, but a reference was made as this being one for the future. The next question was about backing for safe standing – Beard said: ‘obviously this could be looked at when the building of a new stadium is being discussed but not really feasible at this moment in time’. There was a great deal of discussion with Philip Beard about the family stand and particularly the way the change was implemented. He suggested that the different supporters’ groups could work with him to get it right. Beard said: ‘The decision is not set in stone if we can find a better solution then I’m quite happy to go along with this’. 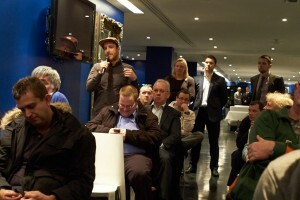 A backing for the campaign for a cap on away ticket prices was asked but not answered by Philip Beard. Beard also said that the club has a long term plan which should bring future financial stability. The first aim is to stay in the Premier League and to stabilise the club as a Premier League side. If we are relegated then the aim is to come back up as quickly as possible. The plans for a new training ground and in the future a new stadium will not be affected by relegation. All the shareholders are in it for the long haul and are passionate and committed to the job in hand! Two of The Trust’s questions were not actually asked, but Philip Beard did say if people want to follow up any issues raised to send him an email and he would be happy to deal with it. The Trust also sought clarification on the QPR Ladies and QPR Girls inclusion in the new training ground facility proposals as well as the status of the QPR Ladies Women’s Super League application that the club announced they were doing last year. QPR1st has received reassurances that any outstanding issues from the Fans Forum will be addressed through direct communication from Mr. Beard.